← Exploring Solitude: Why Bother? Nothing better expresses the urgent call of the wild for me than John Masefield’s Sea Fever. And all I ask is a tall ship and a star to steer her by, . . .
Is a wild call and a clear call that may not be denied; . . .
To the gull’s way and the whale’s way where the wind’s like a whetted knife; . . .
Wild places and wild things invite us to themselves. If not the sea, perhaps, the mountains, the desert, the plains, or the forest draw you. The trout in the stream, the grizzly bear turning in his sleep, the mushroom popping up in the moist woods, the redwood tree dwarfing all else in its magnificence summon us to gaze in wonder and appreciation and share in the communion of all beings. In the wilderness we smell, and see, and touch, and hear, and taste – not a virtual reality, but reality. And here, we are likewise smelled, seen, touched, heard, and tasted. We not only change and act upon our surroundings, we are also changed and acted upon by those same surroundings. In the wilderness, we find again our place as a member of one of the species of beings on this planet. We leave our thermostatically, controlled environments and modern conveniences to feel the bracing chill of the wind in our face, the tickling blurred vision through snow dusted eye lashes, the heavy ache in our calves after walking several miles. In the process of wilderness dwelling, we shed the heavy brittle shells of our self importance and settle in with all our relations – brother sun, sister moon, and cousin fox. We discover the deer we are watching are also watching us. Solitude may occur, of course, away from wilderness in the midst of a noisy crowd, in a beehive high rise apartment, or on the back porch with city sirens screaming past. However, many of us find solitude most easily and fully in a place apart in some natural setting. 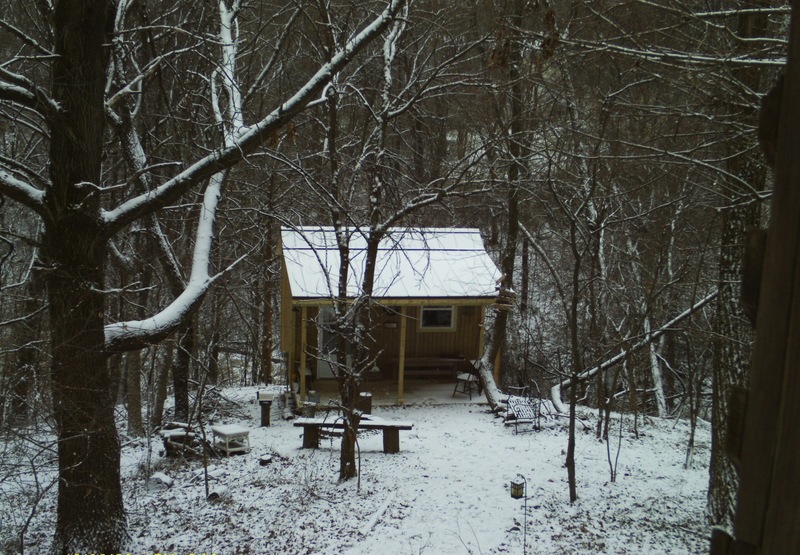 For over twenty years I found my wilderness solitude in a one room cabin with a stone floor, built into the side of hill on a small lake in northeast Kansas. The call to the wilderness runs deep in some people, and expresses itself as unappeasable longing, or a palpable need to be in wild places among wild things. These persons often feel compelled to seek out remote spots away from power grids, traffic, concrete, and housing developments. Some struggle to explain and justify their desire to family and friends. 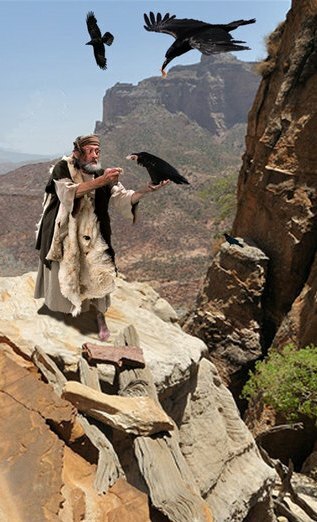 The Biblical Hebrew word for wilderness is often used interchangeably with desert and includes many varied kinds of terrain, arid and semi arid, pasture land, mountains, and the sea. 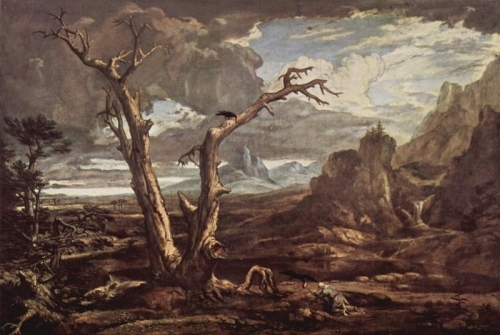 The wilderness, a place uninhabited by the human species, is a significant location for the spiritual journey, both in its literal and figurative senses. The Bible understands transformation and spiritual growth as a process, which involves the experience of both physical and psychic dis-location and re-location. The experiences of being lost and being found, of moving from a familiar land to a strange new country appear over and over in the Biblical narratives. An important aspect, then to solitude and our development in faith, is that exposure to wilderness, both in the physical geographic sense, and in the internal experience of the self. I will set aside consideration of internal wilderness to another post, and focus here on the external physical places and settings in which we find solitude. As a species and as varied races and ethnicities, we have been formed in part by the land in which we and our ancestors have made our living. The lay of the land itself, the richness or poverty of its soil, the vegetation, wild-life, presence or absence of water, winds, and temperature have shaped our economies, our languages, our diets, our health, what we value, and our religions. David Abram in his masterful book, The Spell of the Senses – Perception and Language in a More-than-Human World, writes about this relationship of humankind to the earth and its features and all that dwell upon, within, above, and in its waters. Abram writes of our relationship with the whole of creation as an interpenetration and mutuality in which all parties are affected, changed, and interdependent. The creation is not something I act upon, seek to dominate, or control, but rather the creation is a whole gathering of life with which I may enter into a relationship of mutual benefit. In the past seven years the consequences of our lack of communion with nature has received attention and comment as Nature Deficit Disorder. The lack of time spent out doors by children and adults is suggested as a factor influencing several illnesses, including obesity. Over many years I have observed person after person starving for such connection and communion. Some would trek across the country just to sit in a simple cabin without running water in a Kansas pasture in order to touch in to such a relationship. With some notable exceptions, namely camp and conference ministries, the church has largely ignored this fundamental need. Though our faith was formed in our ancestors in deserts, tents, mountain tops, sea shores, ship wrecks, storms, and many solitary encounters with the Holy One, we insist that most of our faith be nurtured in buildings and classrooms under florescent lights. We further claim that knowledge of God may be gained by memorizing a set of propositions articulated by theologians, who gained most of their credentials in similar buildings and classrooms. In contrast, we meet an undomesticated God in the wilderness, an unpredictable, wholly other God, who is neither tamed by sedate doctrines, nor penned up in church polity, nor leashed to political issues. The waves and meadowlark give testimony, the stones hold the stories of the ancient ones, the Spirit hovers over the waters, the prophet emerges from his cave, and hears the still small voice of the Lord. But can’t you do that on Saturday, wonders the pastor, whose district superintendent keeps count of his worship attendance. He needs to show an increase this year. “You need to worship with the community too, and we need to have you with us,” he tells the fisherman. My brother and his wife recently moved and their first project was to build a small cabin in the woods behind their new home. 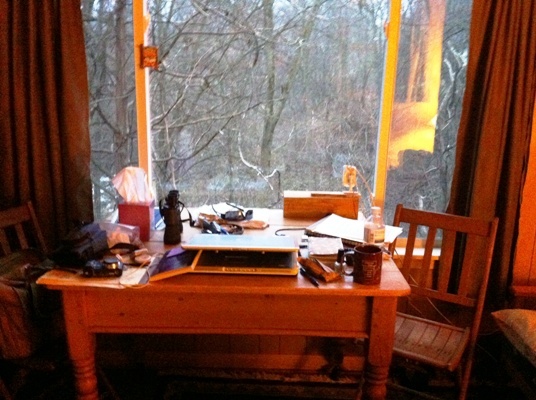 The one room cabin perches part way down a steep ravine in the woods, above a pond and a river beyond. My brother spends hours down there and confesses, most of the time he just sits and looks out the window, watching the birds and critters, and resting his sore eyes on a vista absent of manipulation by his own species. 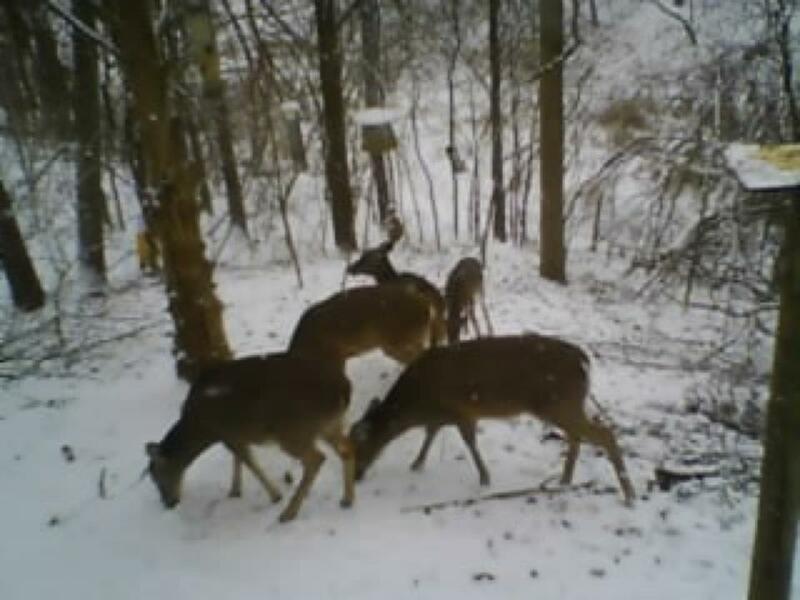 Formerly a hunter of deer, my brother is now living in more intimate and complementary relationship with his relatives. He rises early each day to put out food. Keeping track of them, he gives some of them names. He is respectful of the space they need and watches for signs of illness, or overcrowding of the herd. He worries about the invasive mustard grass, which chokes out the native plants. Likewise the animals of this ravine are more intimate with my brother. They are eating well, unafraid, and willing to share more of themselves with this human. My brother is changing too. He has lost weight and strengthened his legs from making the steep climb down and back from the cabin to the house. He has become an evangelist for the gifts of that little structure. “Solitude is magnetic,” he tells me. Yes, indeed. He shows me a little book he keeps for guests to write their impressions of time spent in his cabin. I open the cover and read the longing and gratitude in their comments. Solitude and the wilderness, where we find it, are magnetic. 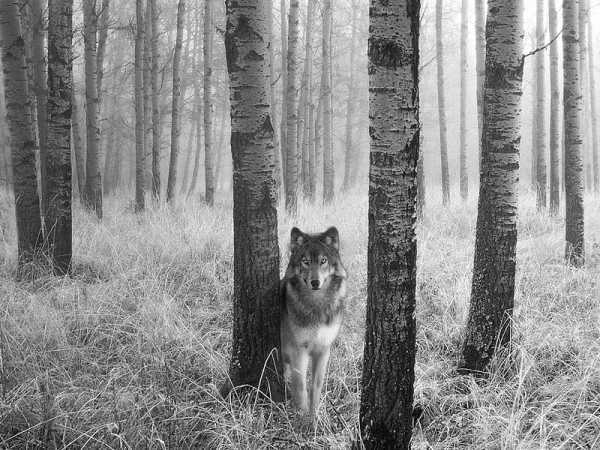 The wild things and places draw us to them by the force of our common relationship with each other as creatures on this earth. We are drawn by our desire to connect with and to enter into communion with Reality in a deeper, truer way than we find in the glib, sound bite assessments that surround us constantly. Such communion changes how we see ourselves and one another. Thomas Merton writes in his second chapter of Thoughts in Solitude that the wilderness invites us to stand back from our lives so we see things in a new perspective. We cannot see things in perspective until we cease to hug them to our own bosom. When we let go of them, we begin to appreciate them as they really are. Only then can we begin to see God in them. Not until we find Him in them, can we start on the road to dark contemplation at whose end we shall be able to find them in Him. Do you postpone going down to your wild places until the time is right, until you have several days free, until you finish this or that project? I will tell you a secret. You don’t have to wait. Just go with whatever time you have. As Eugene Peterson, paraphrases I Kings 17: 2, “Get out of here and fast!” My mom’s version was, “You kids go on outside right now and get the stink blown off ya.” God receives what little time you can offer, a day, an afternoon, or ten minutes, and turns it into abundance with enough leftovers for you to eat on for the rest of week. So go on. Get out. Go for a walk. Drive over to the lake or the beach. Take a blue highway home. Look around. Breathe. Smell. Feel. Gaze into the eyes of a deer. Watch the eagle land and fold its wings on its perch above the river. Be seen by the squirrel, be blown by the wind. Be changed and shaped by the interplay and exchange of the animate world of which you are a beloved part. To what kind of wild places are you drawn? Have you been there recently? What keeps you from going? What happens when you go? What changes or shifts do you notice in yourself? Take some time to pray about your need for solitude and wilderness places. Listen for God’s response. This entry was posted in Christianity, Contemplation, prayer, Prayer, Solitude, Spiritual Formation, Spiritual Practices and tagged David Abram, Elijah, John Masefield, Religion and Spirituality, Spiritual formation, Virtual Reality, wilderness. Bookmark the permalink. Oh my yes! I was raised in house with a huge undeveloped yard and spent weekends in the woods up at the lake. How this has shaped me to need nature, outdoors, and solitude! Even 10 minutes as E Peterson would say makes a difference. Nature Deficit threatens our capacity for awe. Technology seduces us into thinking that we can know everything. When I run to the wilderness wherever it may be I can enter the space where the unknown and unknowable thrive. I wonder at the comedy of a chickadee. I appreciate the skill a spider finding just the right angle for its web. Thank you, Loretta, for all you say on wilderness’ behalf. It takes me back to mychildhood/early adolescent years. Growing up at the dead end of a dirt road with our home perched at the top of a hill with magnificant views in all directions. Their were no homes close to ours. The nearest neighbor was three-quarters of a mile away and their home was hidden by trees. My parents owned 120 acres with fields, woodlands and streams. I remember retreating frequently to the woods or the fields and just sitting on a rock or standing listening and watching. Birds fly and sing their songs. A butterfly hop amongst the wild flowers. Bees busily buzz and work the blossoms. Squirrels scamper from tree to tree effortlessly doing their acrobatics. The wood chuck runs between burrow and newly sprouted clover. I miss that, but my mind’s eye brings me back and I can wonder still in amazement at the symphony and ballet of God’s wonderous creation; so simple and yet so spectacular!